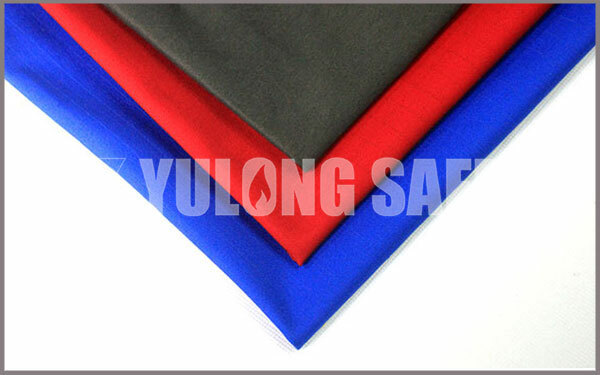 First of all, by analyzing and summarizing the sales data of 2018, we can see the traditional cotton flame retardant fabric, cotton-nylon flame retardant fabric and cotton polyester flame retardant fabric, and add anti-static and oil and water-repellent protection to these flame retardant functions all have a certain increase, which also laid the trend for our company's flame retardant basic fabrics to grow. Secondly, our company's modacrylic cotton flame retardant knitted fabric, flame retardant jersey fabric, flame retardant cotton felt fabric, flame retardant rib fabric, flame retardant fleece fabric, have completed a certain quantitative production, our latest development of antistatic flame retardant knitted fabric, Its anti-static effect (surface resistivity) reaches below power of ≤1.0×10 7th, which greatly satisfies the requirements of customers for FR and anti-static functions of flame retardant fabrics. In addition, the production and sales of high-end aramid 3A flame retardant fabric, aramid + flame retardant viscose + flame retardant acrylic + anti-static fiber and more than three kinds of blended multi-fiber post-dyed flame-retardant fabrics also have a large production Leap in 2018, this also gave us more experience. At the same time, provide more new ideas to have more innovations in this product for 2019 years. Regarding to the coming 2019, we should research more good quality flame retardant protective products, prepare more safe protective objects choices for sales to developing more markets , make our flame retardant protective products serve more and more clients.